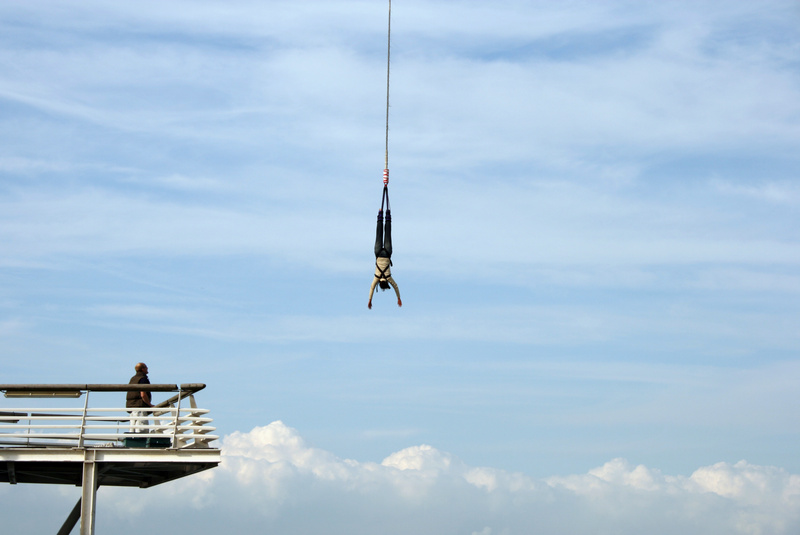 For some, bungy jumping is an extreme sport that’s not worth the risk. What if you break your back? Does it cause brain damage? What if the cord snaps? However, for others, it’s the thrill of a lifetime and opens up a whole new way of seeing the world! There are many myths associated with bungy jumping but since the first commercial jump in New Zealand 25 years ago, there has been a lot of evidence released to suggest these may not be true. Like any sport, always take the necessary precautions to stay safe. Always listen to your instructor. They run through a demonstration for a reason, so listen to them and follow their guidance. Stay calm – This is an incredible experience and you will regret it if you don’t do it. Some simple techniques are counting down from 10, going first to get it over with or simply close your eyes and go for it. Everyone gets nervous before they jump, especially first-timers, but trust your instructor – They’ve got this! Do it with someone – We all like to have company, especially when we are nervous about something so, take a friend and do it together. Pick a perfect spot for the jump. Bungy jumping is available in so many locations these days so, pick a spot that you will love seeing from above. Whether it be the beach, a mountainside or over the ocean, you have so much choice so make it memorable. Be comfortable – There is nothing worse than wearing the wrong clothing and it ruining your day. Enclosed shoes and comfortable clothes are a must. Choose your tour operator wisely. In cases such as these, cheapest isn’t always best. Shop around for companies with outstanding reviews, high safety measures, a long service record with this sport etc. Trust us, this will make you feel much more relaxed about jumping! All things aside, will you be covered when you jump? This is an important question and one you need to know before you go. However, not all insurers necessarily cover this activity as standard, so always check the PDS and if you are still unsure, ask your insurer. One last note from us – Have an unforgettable experience! Everything aside, you have guts to do this and should feel pretty amazing about it. If you have any queries about bungy jumping or how the Go Insurance travel policy responds to cover this, please don’t hesitate to contact us on 1300 819 888 or via email sales@goinsurance.com.au .